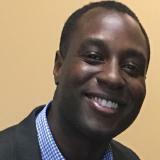 Terron Hill is director of Transmission Network Strategy at National Grid. He is responsible for infrastructure investments on National Grid’s US electric transmission grid and deployment of new innovative technologies to enable National Grid’s vision of an intelligent transmission network that facilitates the evolving needs of customers and a decarbonized energy future. Terron is a graduate of Cornell University. Check out the incredible speaker line-up to see who will be joining Terron .